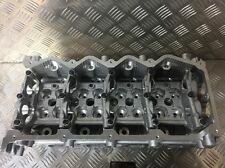 A Cylinder Head for the Nissan Navara / Pathfinder / Cabstar. 2.5 DCIYD25 D40 2006-2011. The Complete head is a Reconditioned Unit. This item will be a Reconditioned Unit that is fully functioning. NISSAN PATHFINDER & NAVARA YD25 CRD 2.5DCI, XTRAIL 2.2 DI. COMPLETE HEAD. IV, HS, KA27-28, KW, PA20-49, PA60-78, PH17-26, PH30-44, ZE, BT, IM, TR21-25, AB, GY, JE, CHANNEL ISLANDS. ISLE OF WIGHT, ISLE OF MAN, SCILLY ISLES, SCOTTISH HIGHLANDS, SCOTTISH ISLANDS, AND NORTHERN IRELAND. GENERIC IMAGE HAS BEEN USED, ACTUAL ITEM MAY DIFFER IN APPEARANCE, SIZE, AND SHAPE. IV, HS, KA27-28, KW, PA20-49, PA60-78, PH4-41, PH42-50, ZE, BT, IM, TR21-25, AB31-38, AB40-56, GY, JE, CHANNEL ISLANDS. Nissan - Navara - D40 [2005-2015] Pickup - 2488ccm 144HP 106KW (Diesel). Nissan - Navara - D40 [2005-2015] Pickup - 2488ccm 174HP 128KW (Diesel). Nissan - Navara - D40 [2005-2017] Pickup - 2488ccm 171HP 126KW (Diesel). NISSAN PATHFINDER & NAVARA YD25 CRD 2.5DCI, XTRAIL 2.2 DI. IV, HS, KA27-28, KW, PA20-49, PA60-78, PH17-26, PH30-44, ZE, BT, IM, TR21-25, AB, GY, JE, CHANNEL ISLANDS. ISLE OF WIGHT, ISLE OF MAN, SCILLY ISLES, SCOTTISH HIGHLANDS, SCOTTISH ISLANDS, AND NORTHERN IRELAND. NISSAN NAVARA PATHFINDER 2.5 DCI 16v CYLINDER HEAD BARE 2004 years YD25 code. Condition is New. Dispatched with Other 48h Courier. Please match photos with your cylinder head before purchase. NISSAN PATHFINDER & NAVARA YD25 CRD 2.5DCI, XTRAIL 2.2 DI. HEAD BOLTS. 1X TIMING CHAIN KIT AS SEEN IN THE LAST PICTURE. HEAD GASKET. IV, HS, KA27-28, KW, PA20-49, PA60-78, PH17-26, PH30-44, ZE, BT, IM, TR21-25, AB, GY, JE, CHANNEL ISLANDS. For : Nissan Pathfinder R51M - 2.5DCi (01/2005 - 01/2010). For : Nissan Navara D40 Pick Up 2.5TD / 2.5DCi (Year 05/2005 - 01/2010). Engine Code : YD25DDTi. ENGINE CODE:YD25 DCi 16V DOHC 2.5 LTR TURBO DIESEL. FULLY TESTED & EXCELLENT WORKINGNISSAN ORIGINAL COMPLETE 16 VALVE CYLINDER HEAD WITH CAMS & VALVES COMPATIBLE FOR D40 NISSAN NAVARA AVENTURA & R51 PATHFINDER 2006-12. FROM 2006 TO 2010 MODELS. 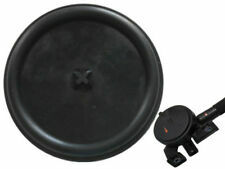 WE HAVE DIFFERENT CARS PARTS FOR SALE ON CHEAPER PRICES. ENGINE CODE:YD25 DCi 16V DOHC 2.5 LTR TURBO DIESEL. COMPATIBLE FOR VARIOUS MODELS OF NISSAN FITTED WITH ABOVE ENGINE SPECIFICATIONS. For : Nissan Navara D40 Pick Up 2.5TD / 2.5DCi (Year 05/2005 - 01/2010). For : Nissan Pathfinder R51M 2.5DCi (01/2005 - 01/2010). Engine Code : YD25DDTi. INCLUDES HEADGASKET, HEADSET AND HEAD BOLTS. IV, HS, KA27-28, KW, PA20-49, PA60-78, PH17-26, PH30-44, ZE, BT, IM, TR21-25, AB, GY, JE, CHANNEL ISLANDS. ISLE OF WIGHT, ISLE OF MAN, SCILLY ISLES, SCOTTISH HIGHLANDS, SCOTTISH ISLANDS, AND NORTHERN IRELAND. Nissan Navara D40 / Pathfinder R51 2.5TD/DCI (05/2005-01/2010) YD25. NAVARA -D40 2.5 05/05-01/10. PATHFINDER -R51 2.5 05/05-01/10. Part Number - KVA 700224. NISSAN NAVARA PATHFINDER 3.0 24V V6 DIESEL V9X ENGINE CODE 2010-2016. ALL THE VALVES HAVE BEEN LAPPED IN AND CYLINDER HEAD REBUILT USING NEW VALVE STEM OIL SEALS. VALVES, VALVE SEATS AND CYLINDER HEAD FACE HAVE BEEN REFACED. For : Nissan Pathfinder R51M 2.5DCi (01/2005 - 01/2010). For : Nissan Navara D40 Pick Up 2.5TD / 2.5DCi (Year 05/2005 - 01/2010). Engine Code : YD25DDTi. IV, HS, KA27-28, KW, PA20-49, PA60-78, PH17-26, PH30-44, ZE, BT, IM, TR21-25, AB, GY, JE, CHANNEL ISLANDS. ISLE OF WIGHT, ISLE OF MAN, SCILLY ISLES, SCOTTISH HIGHLANDS, SCOTTISH ISLANDS, AND NORTHERN IRELAND. 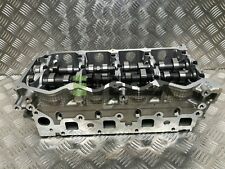 BARE CYLINDER HEAD FOR NISSAN CABSTAR/NAVARA/NP300/PATHFINDER 2.5DCI. INCLUDES HEADGASKET, HEAD SET AND HEAD BOLTS. IV, HS, KA27-28, KW, PA20-49, PA60-78, PH17-26, PH30-44, ZE, BT, IM, TR21-25, AB, GY, JE, CHANNEL ISLANDS. Nissan - Navara - D40 [2005-2016] - 2488ccm 190HP 140KW (Diesel). Nissan - Navara - D40 [2005-2016] - 2993ccm 231HP 170KW (Diesel). Nissan - Navara - D40 [2005-2016] - 2488ccm 144HP 106KW (Diesel). Nissan - Navara - D40 [2005-2016] - 2488ccm 174HP 128KW (Diesel). NISSAN NAVARA PETROL PATHFINDER YD25 16V DCI. AFTER COLLECTION OF. COMPLETE CYLINDER HEAD 2005 - ONWARDS. For the peace of your mind BEFORE buying MUST ASK US DETAILED PICTURES OF THE ITEM FOR MATCHING SO THAT YOU ABLE TO VIEW THE CONDITION OF THE ITEM. WE HAVE REDUCED PRICES BECAUSE IN NEEDS CLEANING. Nissan 2.2 & 2.5 16v DCi (YD22 & YD25) Bare Cylinder head. Engine Codes YD22 YD25. OEM Numbers 110405M300 - 110405M301 - 110405M302 - 11040BN360. Nissan 2.2 & 2.5 16v Di & DCi. Engine Type 4 Cylinder 16v Turbo Diesel. HEADGASKET, HEADSET AND HEAD BOLTS. IV, HS, KA27-28, KW, PA20-49, PA60-78, PH17-26, PH30-44, ZE, BT, IM, TR21-25, AB, GY, JE, CHANNEL ISLANDS. ISLE OF WIGHT, ISLE OF MAN, SCILLY ISLES, SCOTTISH HIGHLANDS, SCOTTISH ISLANDS, AND NORTHERN IRELAND. Nissan Navara Pickup D40 2.5TD/DCI (1/2010>ON) YD25DDTI. Nissan Pathfinder R51 2.5TD/DCI (1/2010>ON) YD25DDTI. Part Number - KVA 705102-1. Nissan Pathfinder R51 2.5TD/DCI (01/2005-01/2010) YD25. Part Number - KVA 700224-2. For : Nissan Pathfinder R51M - 2.5DCi (01/2010 Onwards). For : Nissan Navara D40 Pick Up 2.5TD / 2.5DCi (Year 01/2010 Onwards). Engine Code : YD25DDTi. 1X TOP END HEAD SET. 1X FULL SET OF HEAD BOLTS. IV, HS, KA27-28, KW, PA20-49, PA60-78, PH17-26, PH30-44, ZE, BT, IM, TR21-25, AB, GY, JE, CHANNEL ISLANDS. ISLE OF WIGHT, ISLE OF MAN, SCILLY ISLES, SCOTTISH HIGHLANDS, SCOTTISH ISLANDS, AND NORTHERN IRELAND. 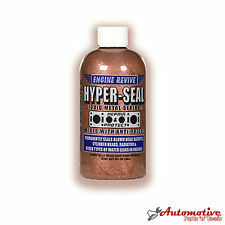 Loosing coolant or water and having to top up often?. Nissan Pathfinder. Steam / smoke from the exhaust?. When your vehicles head gasket is blown, there is usually a very small crack, therefore you may start to lose water or oil and water start to mix resulting in the car to overheat. V9X661 V9X. Typ Pathfinder III 3 R51 IV 4 R52 NP300 D40. Vehicle Nissan. As the vehicle list does not contain all vehicles, you may not find the vehicle you are looking for. The vehicle match list is only intended to assist in your search. Fits :Nissan Pathfinder 2.5DCi / 2.5TD - R51 (01/2005-01/2010). Engine Code : YD25DDTi. Part Number - N5095. D40 YD25 DCI 16V. NISSAN NAVARA PATHFINDER / D40 2.5 YD25 DCI. BARE CYLINDER HEAD. 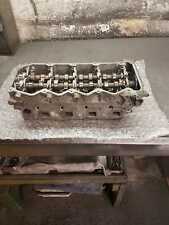 THIS BARE CYLINDER WILL FIT THE FOLLOWING CARS PRICE IS ONLY FOR BARE CYLINDER HEAD. 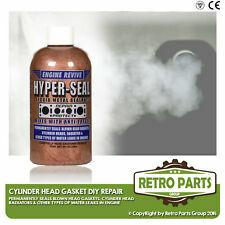 HEAD GASKET SET AT £85 HEAD BOLTS £50. 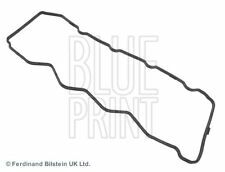 Cylinder Head Gasket (JE09929) - QTY:1. WE REQUIRE YOUR. REG NUMBER. The FAI part number prefix denote the head composition, e.g. BCH001 (Bare Cylinder Head) or CCH001 (Complete Cylinder Head). Made from Aluminium and cast iron, these are machined on the latest generation CNC machines for greater accuracy and continuity. FAI Autoparts are the professional choice for premium automotive components. FAI Cylinder Head. Search “FAI Autoparts catalogue”. Any information in the compatibility table is for reference only and there may be unspecified choice options. PRICE INCLUDES VAT. INVOICE SUPPLIED WITH ITEM. BCH005 FAI NISS YD22/YD25 EARLY - BARE HEAD fit NISSAN NP300 PICKUP (D22) 2.5 dCi 4x4 (YD25DDTi) 04/08-. FAI Automotive plc has evolved out of motor sport, with its attendant high standards of technical, logistical and administrative efficiency. For : Nissan Navara D40 Pick Up 2.5TD / 2.5DCi (Year 01/2010 Onwards). For : Nissan Pathfinder R51M - 2.5DCi (01/2010 Onwards). Engine Code : YD25DDTi.